Its only February 1st, and I am seriously over the cold, my winter wardrobe, and running out of idea to look decent while rushing to get dressed to take Romy to school. 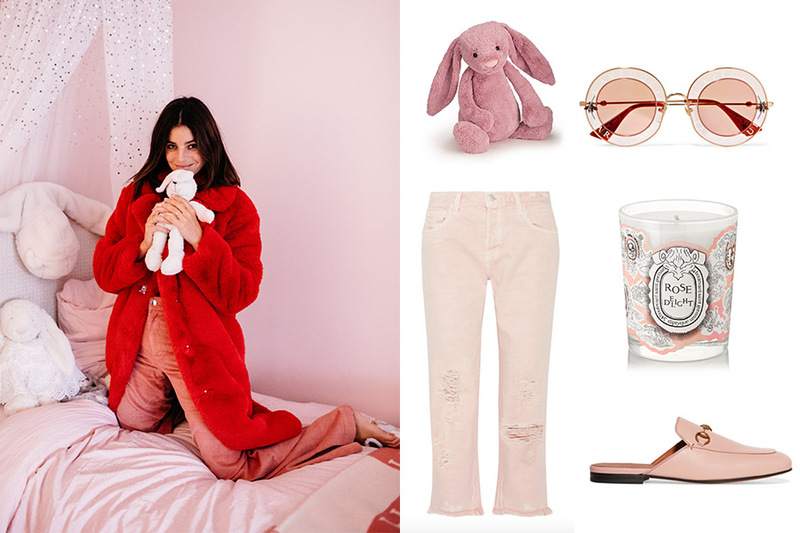 Warmer days being far away, I recently found comfort in dressing in warm, soft pink material, and feeling like a huge snuggle bunny myself. Pink has become my new Black! Here are some of my favorite pieces to stay uplifted till blossom season, for you, for the kids, and for the home.